On Friday, February 10th from 11pm-2am at Capital Club 16 of Raleigh, NC the Common Roots Soundsystem will be rocking the wheels of steel. 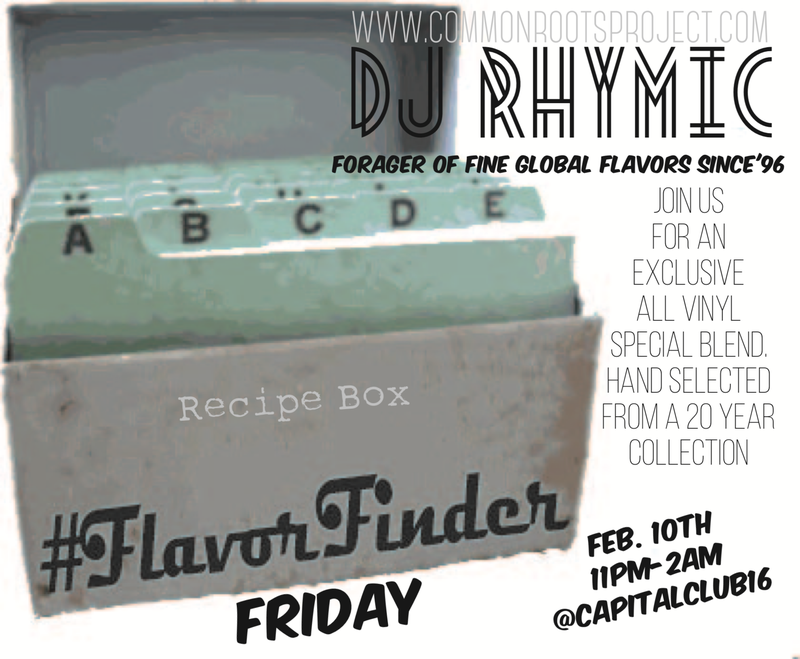 DJ Rhymic will be digging in the crates of a 20 year collection for a special all vinyl set. Check the Common Roots Soundsystem page on this site for some sample mixes. Be sure to sign up so you don’t miss any future events.